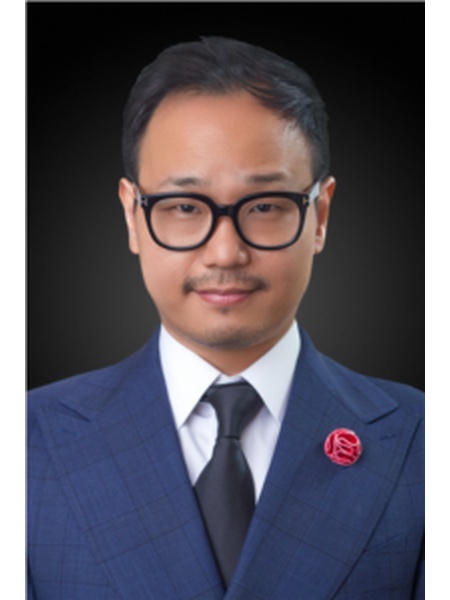 Andy Kim established the Kim Team in 2011, paving the way to becoming a global leader in the real estate industry. Andy’s comprehensive understanding of the industry, incomparable experience across an array of markets, and remarkable negotiation skills have landed him success in the markets of condominiums, co-ops, new developments, and commercial real estate both in the US and internationally. With 18 years of experience in the industry, Andy has accumulated over a billion dollars in transactions and leads a team that has totaled the same in sales. The secret to the success of the Kim Team, which brings forth over 35 years of real estate experience, is each member’s comprehensive and up-to-date understanding of various markets. Gaining the respect and trust of a lengthy list of clientele, the Kim Team’s invaluable marketing and sales experience offers a one-stop shop to their elite buyers and sellers. Agents and brokers on the team work together to make sure each client is armed with valuable insights and approach each case with a unique strategy built to match the client’s needs. Andy spends much of his time in Manhattan and manages the Nest Seekers office on Riverside Boulevard. His drive, commitment, and diligence lead a team that’s globally recognized for high-quality and dedicated service. When he’s not working, Andy is spending time with his family. He believes the key to success is the ability to work hard while finding the time to enjoy the priceless things in life. NEW TO MARKET! Beautiful Corner 2 Bedroom 2 Bathroom Residence at The Georgica, UES! Prime Fifth Avenue Location - 1800SF Office Space for Rent! Nolita's Best Block - Retail Space Available On Mulberry Street! NO FEE! Fully Renovated CONV 3 Bedroom for Rent in Boerum Hill! CORNER HIGH FLOOR CONV 3 BEDROOM CONDO WITH AMAZING VIEWS! NEWLY RENOVATED RIVER FACING TWO BED WITH HIGH CEILINGS AT THE AVERY! Bright East Facing One Bedroom Apartment on Riverside Boulevard! BEAUTIFUL ONE BEDROOM WITH A HUGE WIC! BEAUTIFUL ONE BEDROOM ON RIVERSIDE BLVD! CORNER LOFT LIKE STUDIO ON RIVERSIDE PARK! NEWLY RENOVATED DUPLEX PH WITH PRIVATE POOL, SAUNA, ROOFTOP TERRACE & FIREPLACE FOR RENT! DRAMATIC DUPLEX PH WITH PRIVATE TERRACE & FIREPLACE FOR RENT! 1 MONTH FREE! BE THE FIRST TO LIVE AT ONE WEST END! NO FEE! Sprawling High Floor 3 Bedroom with Private Terrace & East River Views! Beautiful Corner Two Bedroom Two Bathroom Residence at The Georgica! NEW TO MARKET! SPACIOUS 2 BEDROOM APARTMENT IN TRIBECA! NO FEE & 1 MONTH FREE! 2 Bedroom 2 Bathroom in Midtown East! NEW TO MARKET! High Floor 2 Bedroom Residence with Balcony & Empire State Views! NO FEE! Stunning Corner 2 Bedroom 2 Bathroom with panoramic city & river views in FiDi! Live in one of the biggest 2 bedrooms 3 baths apartment at the notable Rushmore! Corner Two Bedroom Loft with a HUGE Private Cabana in the Heart of DUMBO! NO FEE! One West End Avenue is Waiting for Its New Residents! Sprawling 1 Bedroom 1.5 Bathroom at The Luxurious Trump Place Condominium! NEW TO MARKET! 839SF 1 Bedroom @ The Aldyn! High Floor Convertible 2 Bedroom with Extra High Ceilings and Direct River Views! BE THE FIRST TO LIVE AT ONE WEST END! West Village Sponsor Renovated in perfect location! NO FEE! South Facing One Bedroom with 1.5 Bathrooms at the Luxurious One Riverside Park! NO FEE! Spacious 1 Bedroom with Bright Eastern Exposure & superb finishes at The Aldyn! Midtown East Spacious One Bedroom for Rent! Murray Hill Renovated Sponsor Unit! Beautiful One Bedroom Apartment at The Rushmore is waiting for its new Residents! High Floor 1 Bedroom with City Views & superb finishes at The Aldyn! No FEE! High Floor 1 Bedroom with City Views & superb finishes at The Aldyn!